UP TO FOUR Queensland coalmines could be closed after they allegedly failed their dust monitoring obligations. The allegations relate to Glencore’s Oaky North and Oaky No.1 in central Queensland, along with Anglo’s Moranbah North and Grosvenor. State Mines Minister Anthony Lynham said the underground mines had failed to meet their obligations during the second quarter of this year. “I have been advised that the levels of non-compliance vary. However in my view, any failure to meet their safety and health obligation is not acceptable,” he said. Tougher coal dust monitoring standards are needed in Australia to prevent the “unacceptable” spread of the deadly black lung disease, a new study has found. In Queensland, there are seven cases of the disease, which was thought to have been eradicated three decades ago. A clinical focus published on Monday in the Medical Journal of Australia recommended an industry-funded screening program for at-risk workers every three years and mandatory reporting of cases to a register. Co-author of the report, Associate Professor Deborah Yates, said one tougher standard of exposure limit was also needed in Australia to help eradicate the disease. Current coal dust exposure limits vary between states and show considerable variations of monitoring protocols between sites. In Queensland, 3 milligrams of coal dust per metre cubed is allowed, whereas in New South Wales it is 2.5mg. “And there have been calls nationally and internationally by occupational hygiene and medical experts to reduce that level to as low as one milligram per metre cubed,” Dr Yates said. The report found NSW had probably been more stringent when it came to the regulation and implementation of screening. Dr Yates, from Sydney’s St Vincent’s Hospital, said there had been recent reports which suggested a potential decline in exposure control could be behind the resurgence. Dr Yates said a study by the Queensland Mines Inspectorate found long-wall miners were exposed to equal amounts or greater than the coal dust exposure limit. 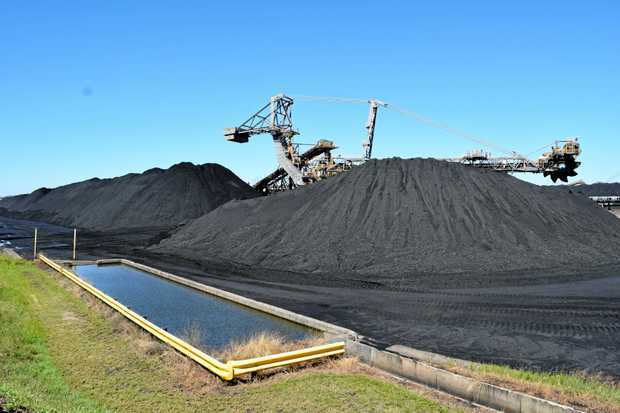 The article comes two months after a Senate committee called for a national coal dust exposure standardand an industry fund to cover medical costs. Steve Smyth from the Construction, Forestry, Mining and Energy Union (CFMEU) wanted independent monitoring. He also said the cutting speed of machines needed to be slowed down as well as having better ventilation, water spraying and dust suppression. “Workers being able to feel they can raise concerns around safety, and not be disciplined or action taken against them, which is occurring now,” he said. Queensland Resources Council chief executive Michael Roche said the industry was shocked by the resurgence of the disease. He said the first step was prevention and if there was non-compliance with dust levels it was appropriate the Mines Inspectorate act and enforce the regulations. “Our top priority is the health and safety of mine workers,” Mr Roche said.